Last Saturday, we hosted the Valley Classic Thunderbird Club for a detailing seminar at our store in Chatsworth, Ca. 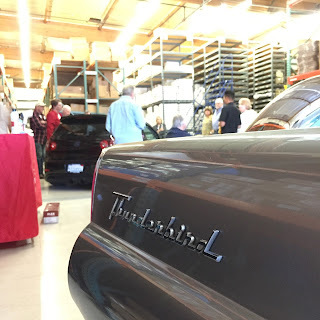 Twenty Ford enthusiasts visited California Car Cover to learn the best way to maintain their vehicle's paint and appearance using our Golden Shine Car Care Products. Mitch Sison, of eco-shine Auto Reconditioning, showed Valley Classic Thunderbid Club members the basics of vehicle polishing, paint care and maintenance. Mitch owns eco-shine Auto Reconditioning. He operates a mobile detailing company that maintains daily drivers, muscle cars, classics and exotics. 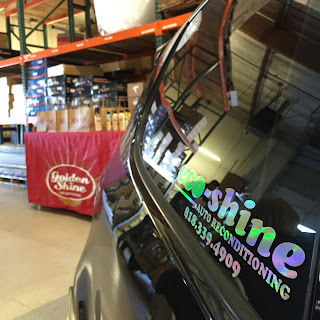 Mitch uses many of our Golden Shine products in the care and maintenance of his customer's vehicles. 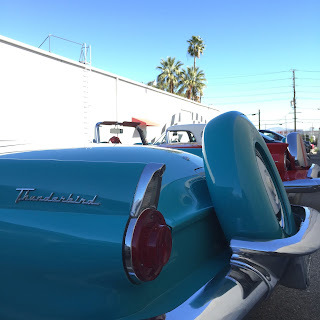 Thank you to the members of the Valley Classic Thunderbird Club for the visit. We hope the visit was fun and educational for everyone. Have a car club that would like to participate in a detailing seminar at California Car Cover? Give us a call or send us an email to coordinate with our Marketing Team.